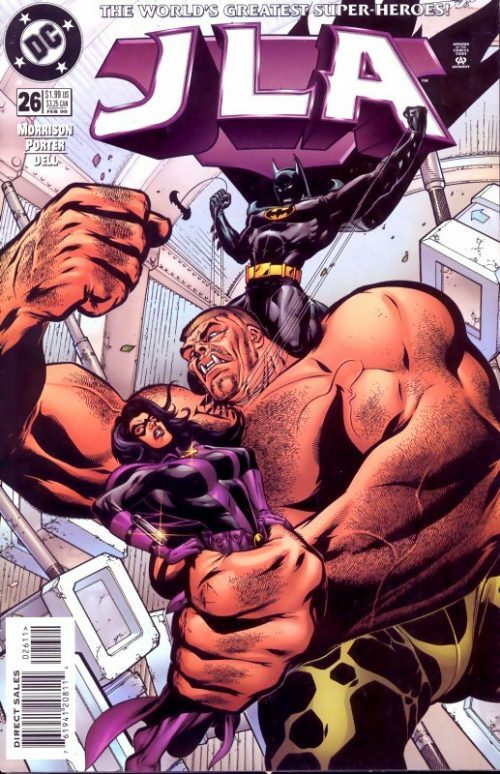 As part of the Obsidian Age story Arc Joe Kelly hinted at the stirrings of feelings between Diana and Bruce which the writer would later develop further. In the year 10,000 BC, Atlantis is above the water. Because of this, an Egyptian warlord (with lizard eyes) called the Scarab is attacking the rich island nation. However, his warriors are stopped by two meta humans – a ‘whaler’ from the North Pacific, and a monstrous giant who quotes Hebrew sages. They immobilise the ship and kill the Scarab. The crew fall to their knees, and the Whaler casually remarks that “the sea provides”, and the crew will be taken as slaves. 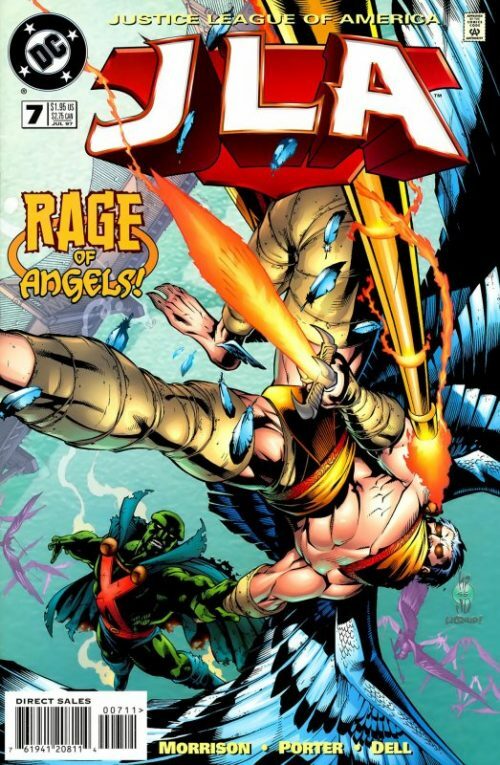 The final member of the League, Sela, draws herself away from her ‘companions’ to deal with the disaster – a rain of fire. The heroes try to deflect the brunt of the damage towards the slums. As a portal opens, the League steels itself for a greater fight… but it is only Manitou Raven(referred to as ‘the Inde’) and Tezumak. he heroes wonder what this means for their mission to the future. In the temple, a priest is reading the ‘Obsidian Tome’, the New Chronicle of Atlantis. 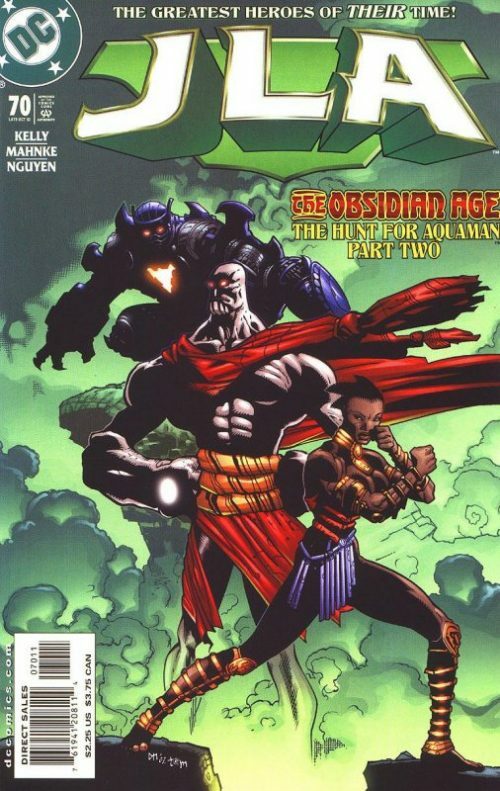 However, the Martian Manhunter is in the audience. After the reading, he departs, commenting about propaganda. He broadcasts his findings to his teammates – Gamemnae was instrumental in raising Atlantis, though no-one will say why. She is regarded as a national heroine. Atlanteans in this time are all mildly telepathic, and the pool which contained Aquaman’s warning in the future is guarded. 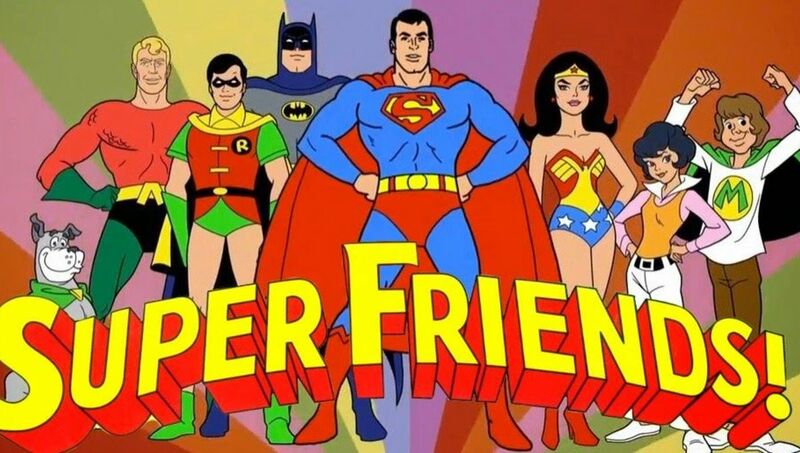 After two days in the past, the Justice League have mostly recovered from the side-effects of time-travel; apart from Batman who is still delirious. 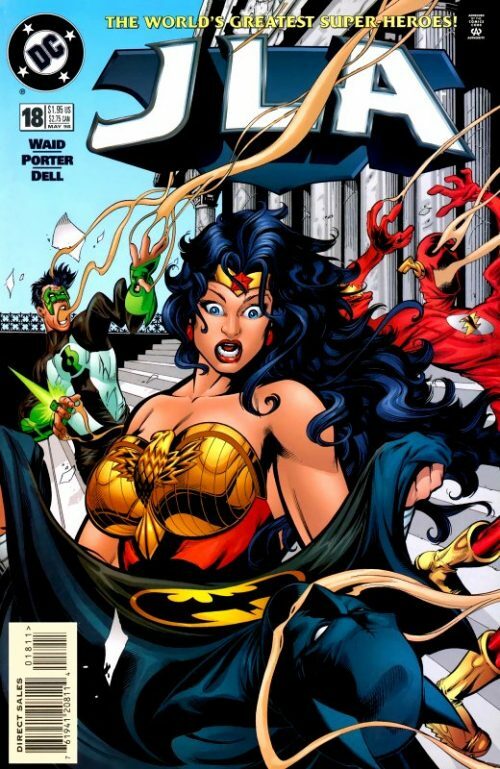 While Wonder Woman is sponging his brow, Batman makes a comment about how beautiful she is before passing out. The team is eager to move into Atlantis, but Kyle keeps seeing visions of his team-mates dead. In Atlantis, the League are convened to listen to Manitou’s assessment of the mission. When they hear that the ‘Destroyers’, the prophesied Hydra, is in fact a group of men and women, and that Atlantis is gone in that time, they despair, but they are ready to make war. Manitou does not trust Gamemnae’s motives, but he supports the team. 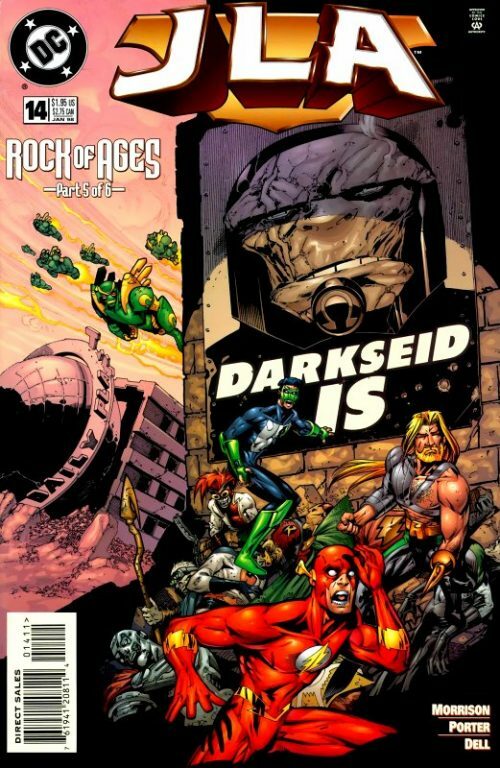 Later, as he watches Tezumak giving his armour the blood it needs, he smells the Justice League and alerts his allies. 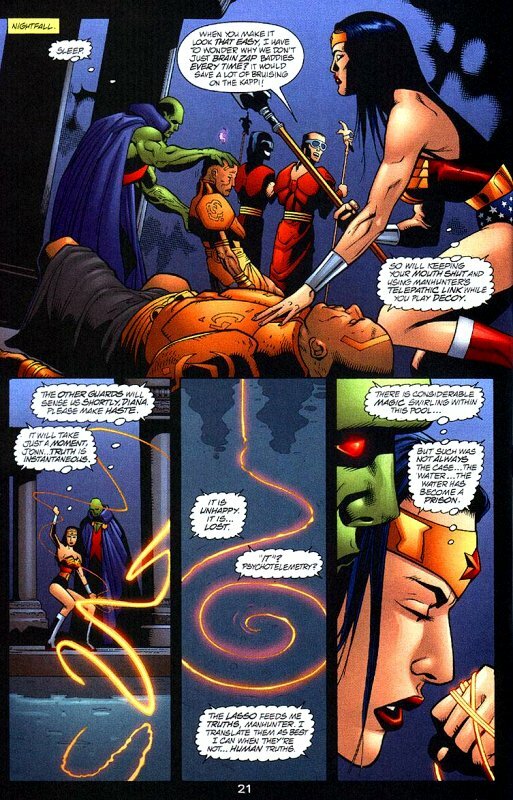 At the pool, Martian Manhunter, Wonder Woman and Plastic Man have incapacitated the guards. 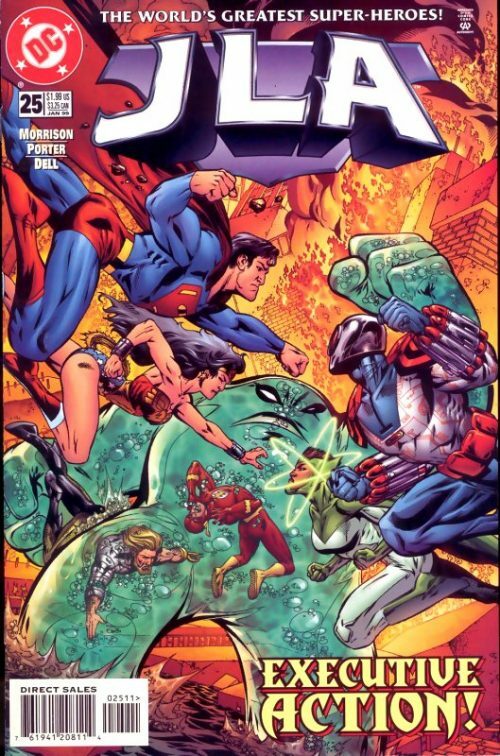 As Plastic Man uses his powers to mimic the two guards, Martian Manhunter and Wonder Woman use their powers to scan the water for Aquaman. Suddenly, a shape looms up, composed of water – Aquaman has been trapped within the water itself..